This live release was recorded for a two-part PBS Soundstage program. The live performance was filmed in High definition from multiple angles and as you'd expect the picture quality is superb. The sound quality is equally impressive with 5.1 stereo and a crystal clear sound. 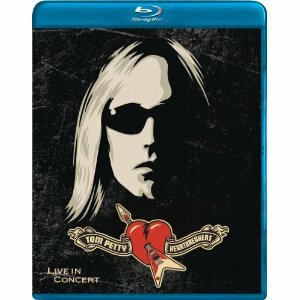 The setlist is what makes this release so special - it's not just Tom Petty and the heartbreakers playing their usual show. Instead we get some of their songs, a song Tom Petty did with the Travelling Wilburys, and covers from artists including Big Joe Williams, J.J.Cale and more. Classic songs such as "Little red rooster" and "Baby please dont go" are performed superbly well. Tom Petty and The Hearbreakers look to be enjoying their time on stage and give us a great selection of songs - some slow and gentle, some fast paced rock and roll, some blues - a great mix. Watching this, the time just flew past - a great concert to watch. There is very little to criticise about this release to be honest. My only real complaint is the way they've chosen to show it as two separate episodes - i.e. how it was originally broadcast, rather than as one long concert which is how it was filmed. Having it as two episodes just breaks it up and spoils the flow. Given that this is my only real criticism then you can take it that this is a great release and one that Tom Petty fans should certainly consider buying.